Membership in the World Trade Organization is a precondition for the successful closing of Serbia’s pre-accession negotiations in Chapter 30 (External Relations) with the European Union. Although this Chapter does not explicitly deal with genetically modified organisms, international trade rules do not allow general traffic barriers, such as those that Serbia introduced in 2009 with the Law on Genetically Modified Organisms. Therefore, our intention with this publication is to present the possibilities offered by international standards for Serbia to fulfill the conditions of accession with both the World Trade Organization and the European Union, while at the same time to respond to the dilemmas that the citizens of our country have. These international standards allow Serbia to establish a system that would abolish the general ban on trade in these products. 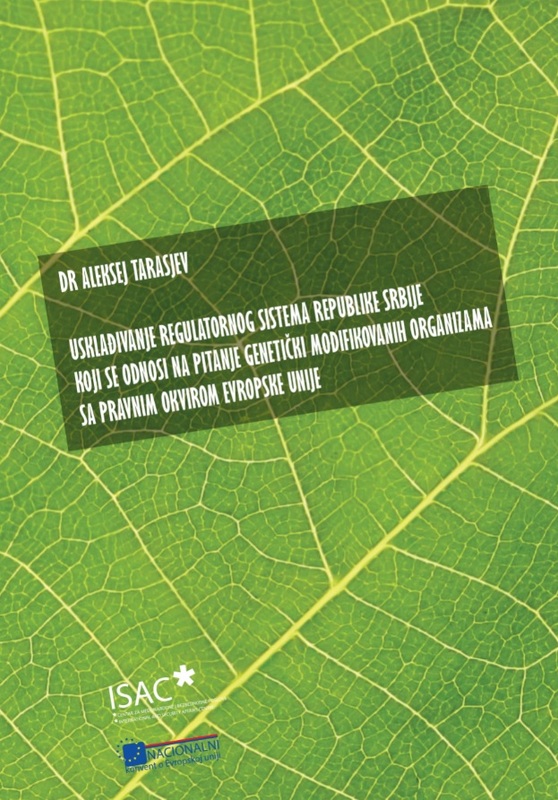 At the same time it would also establish, in a politically wise manner, an adequate restrictive system that would offer the maximum limit of trade with products containing genetically modified organisms at all levels and enable Serbia to ban the commercial cultivation of genetically modified crops in the same way as the EU member states do.